HIGHLIGHTS: Two full size beds with outdoor patio and bistro set per room. Our newly renovated deluxe rooms accommodate up to 4 guests. They are located above the pool and on our 2- story complex. 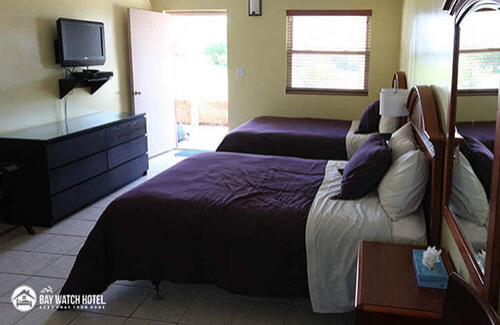 Our deluxe rooms have two full size beds, flat screen TV/DVD and entertainment center. 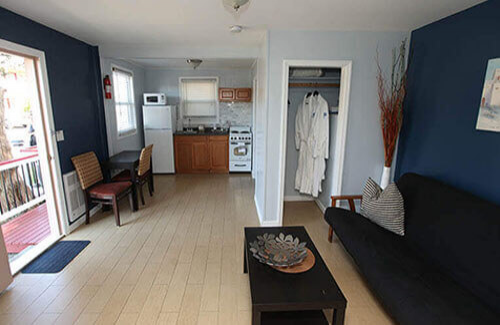 Kitchens are fully stocked with cooking and eating utensils, complimentary coffee, coffee pot, and microwave. All deluxe units have their individual outdoor patio sitting area. 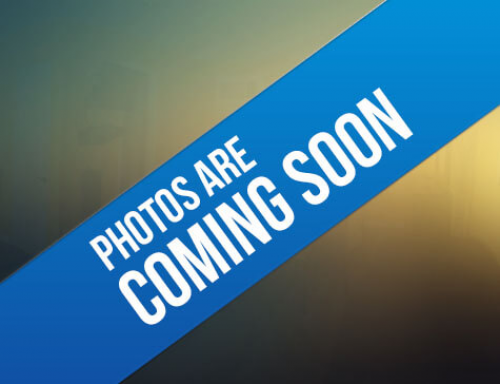 10% discount for veterans and active duty, exclude holidays. Minimum 2 nights on weekends. HIGHLIGHTS: 3-room layout (kitchen, living room, bedroom) with bathrobes. 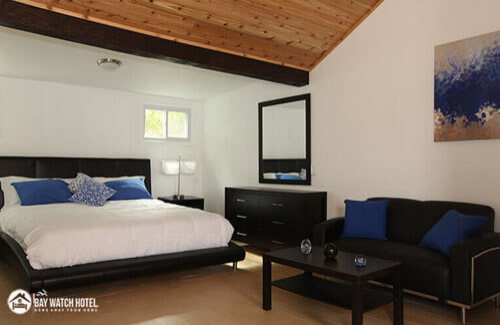 Our cottages can accommodate 4-5 guests. They have a bedroom with a full size bed and a flat screen TV/DVD, a living room with a full size pull out futon, and a flat screen TV/DVD and an entertainment center (Bluetooth, iPad, iPhone, Flash-drive, radio). 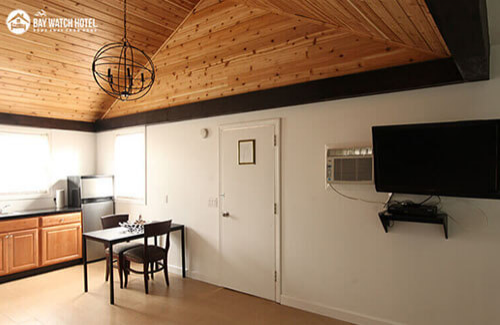 Cottage kitchens are fully stocked with cooking and eating utensils, complimentary coffee, coffee pot, and microwave. 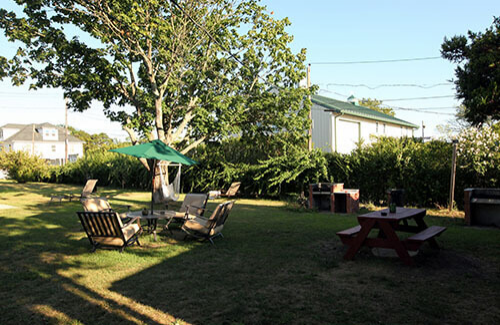 All cottages have their own private outdoor sitting area with BBQ stands that overlook the gardens. 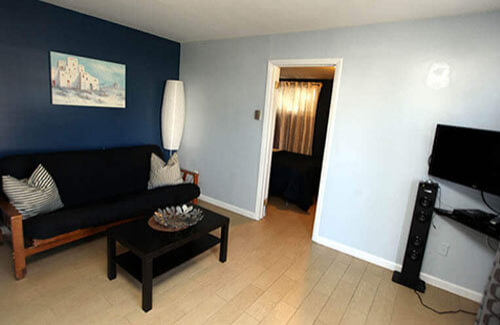 Pets are allowed for an extra charge of $59 per pet, per night at designated units only. Rates quoted are Up to 2 People . Guests are allowed for an extra charge of $40 per Person. Our cottages can accommodate 4-5 people. HIGHLIGHTS: 2 Queen size beds with cedar cathedral ceiling. QUEEN BUNGALOW: New Bungalows with a unique ambiance. Featuring two queen size beds and living room area. HIGHLIGHTS: King bed, stand-up Jacuzzi, entertainment center, ceiling fan, bathrobes, and bistro set. KING SUITE: Brand new suite with a unique ambiance. Featuring exposed cathedral beam ceilings, king size bed. Bath with stand-up Jacuzzi massage jets and bathrobes. 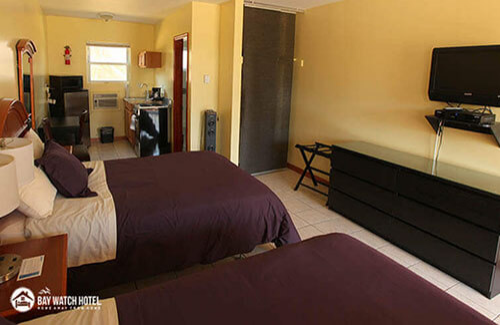 Kitchens are fully stocked with cooking and eating utensils, complimentary coffee, coffee pot, and microwave. This suite has its own BBQ stand and bistro set.